Last night, I walked six miles from work to Divisadero and split a chicken cheesesteak with my wife at Jay’s. 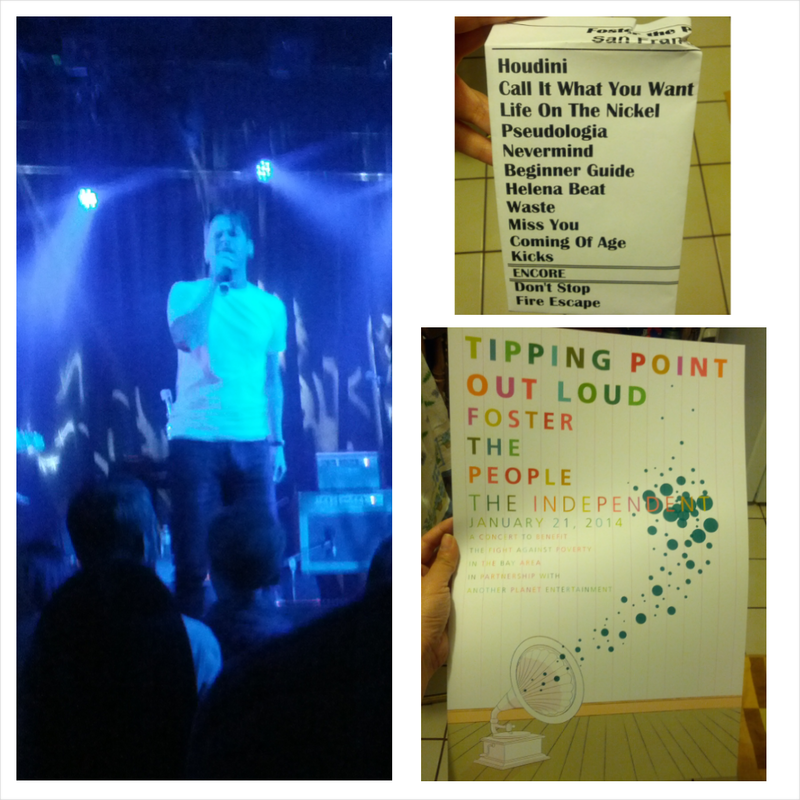 We attended a charity event at The Independent where a bunch of frou frou people enjoyed the open bar, and my wife and I enjoyed the hell out of a show by Foster the People. To see the band in such a small venue with a half capacity crowd was awesome. It was definitely worth the premium price that we donated to get the ability to attend. I absolutely loved one of the new songs, “Pseudologia Fantastica,” which had a little bit of everything in it but sounds more “angry rock” than the “party rock” of their first album. They did a total of 13 songs, cutting just one new song from the same set of songs they’ve performed at their two previous small club dates in Seattle and Portland. I was very happy with the show we got to experience. January 22, 2014 in Music.